If you owned a ra-ra skirt, spent hours frustrated by a plastic cube covered in coloured stickers, or sat with your finger poised above the record button every Sunday evening to tape the Top 40, you'll love this 80s themed print. 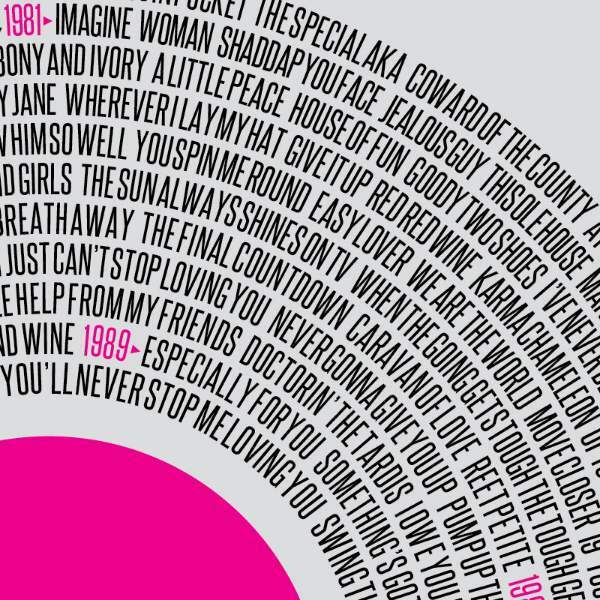 Containing all 190 number one UK singles from 1980-1989 in chronological order, simply follow the years/grooves round in a clockwise direction - and see if you can remember who sang them all! Available in A3 size only in a choice of Black or White frame.